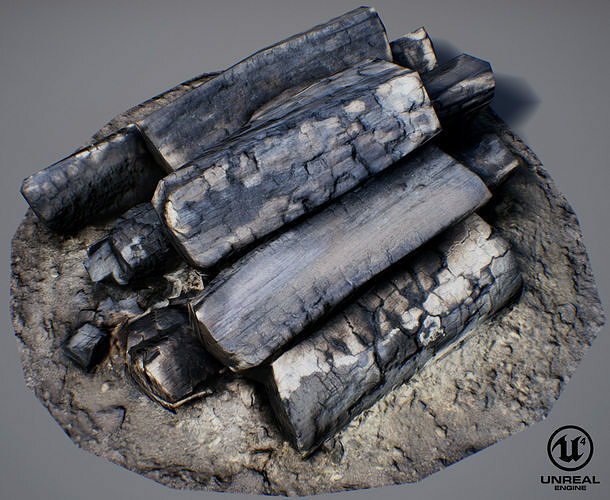 The scanned model of Burnt Firewood was optimized and cleaned. Files units are centimeters and are accurately scaled to represent real-life object's dimensions. Previews rendered in Marmoset. The scene with render settings is not included.